Opening day for the Louisiana East was great! 3 man limit in a little over an hour. Sunday was great, different pond but 3 man limit in about 2 hours. Today, holy smokes! One of my top 3 duck hunts for sure! We had 22 gadwalls and 2 teal in 30 minutes! 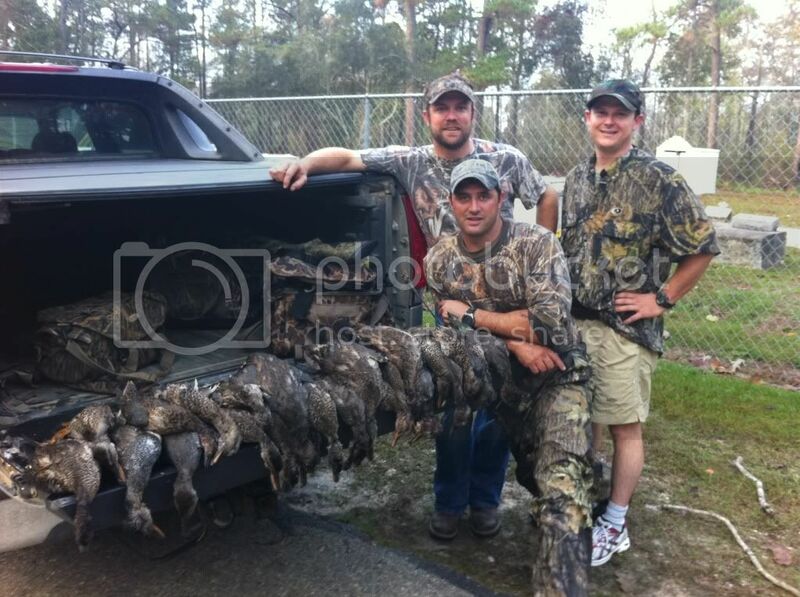 We saw these ducks Saturday on our way out, they were piled into a hole on our property. We planned on shooting them on Sunday but got stuck in the water hyacins on the way in and couldn't make it to them. We didnt go back yesterday and today we had the guy that lets us hunt the property and another freind of ours so we went in by 4 wheeler. We had big groups of ducks dropping in while we were getting the decoys out and ducks dropping in while we were picking them up! If they hang out for one more day its gonna be on tomorrow morning to!! !